Good design isn't just excellent artwork or a clean user interface. Good design puts communicating the products and services, company mission and vision, and the benefits to customers at its heart. Following on the Brand Story Discovery Workshop where we articulated the unique attributes of your business, we can now complete our brand research, and create the logo, color specs, file usage guide, brand identity board, and any other collateral you may need. 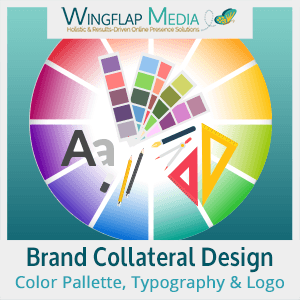 We define your brand's color palette, typography scheme, logo variations, textures, patterns, and images, to create a File Usage Guide and Brand Identity Board for your business - as a summary of the main guidelines we'll take into account when we design the collateral, visuals and web graphics for your audience.